By Nancy Young in Internet. Updated on November 22, 2017 . If you are not comfortable using real photos to represent yourself in any online profiles and avatars, why not create a cartoon characters of yourself? It’ll definitely be fun and unique to others when you are representing yourself in a cartoonized way in your online profiles. Thanks to many free web services, you don’t have to pay an artist for your cartoon illustrations. All you have to do is upload your photo, or run some mix and match. Here are 12 websites that allows you to create a cartoon a character of yourself. This awesome site can not only turn your landscape photo into a watercolor drawing, but also make your face morph. Just upload your photo to the website and get numerous changes of face expressions. 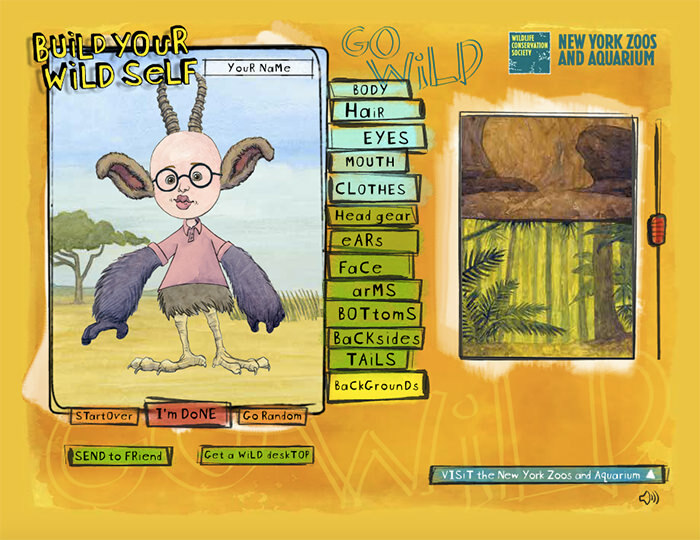 Create an cartoon character to represent yourself in WeeWorld games. You can change skin and eyes color, choose proper outfit, and even add some items to hold in your hands, such as ice cream or coffee. I love the feature of changing hair color and various hairstyles. 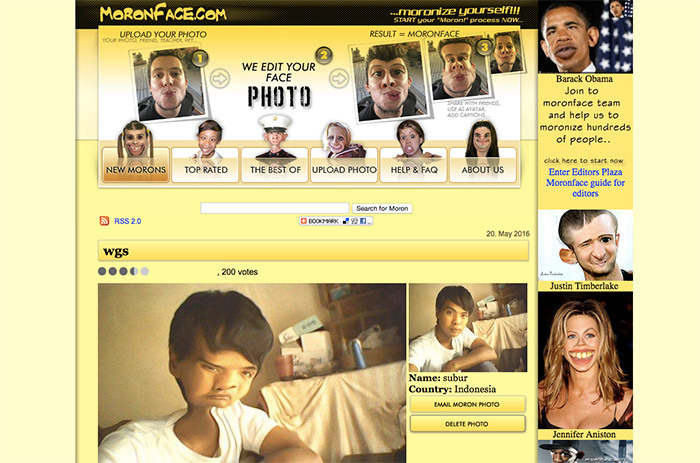 Pick a Face is one of my favorite websites, because it has really modern design and cool features. 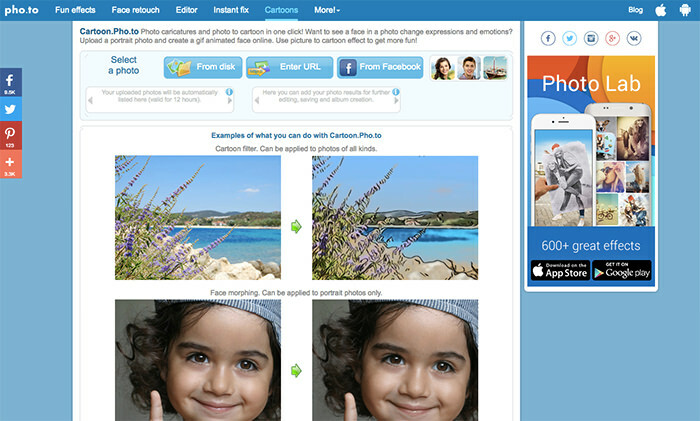 To make a cartoon just click on the link, select your language after reaching to the website and click Create Avatar. 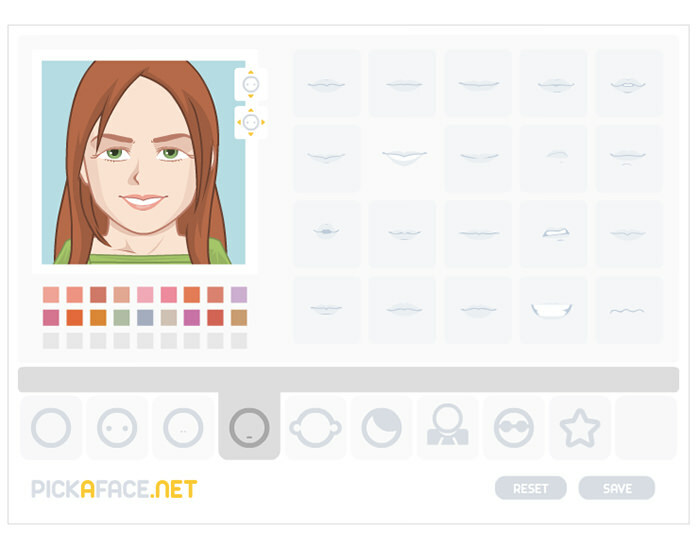 At last select your face whether a boy or girl to start designing. It is a website allowing you to go wild, literally. it allows you to create a cartoon character with wild body parts. You can add body parts of wild animals (think Where the Wild Things are) instead of regular boring human parts, and get a different look. It’s not a website to cartoonize your face but more like exaggerate fetures of a face. Here you can create funny pictures of yourself (and your friends or enemies) by uploading fresh pictures to apply many effects to. 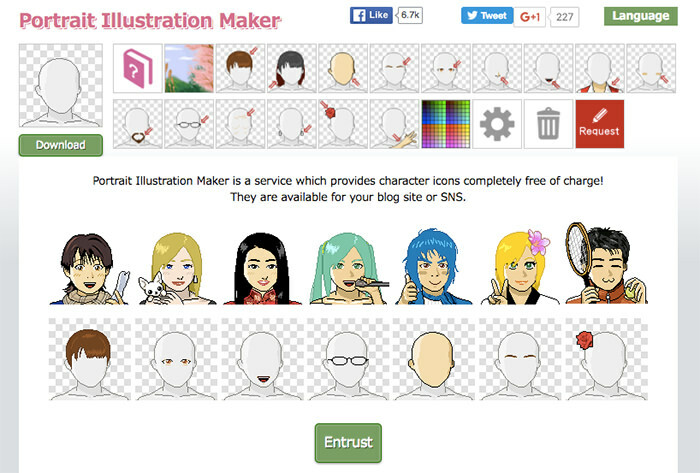 Portrait Illustration make is a free cartoon avatar generator. Just hit the "Randomizer" button and the site will automatically generate avatars randomly. You can save the Avatar image by right-clicking them and using the Save Image As option from the context menu. 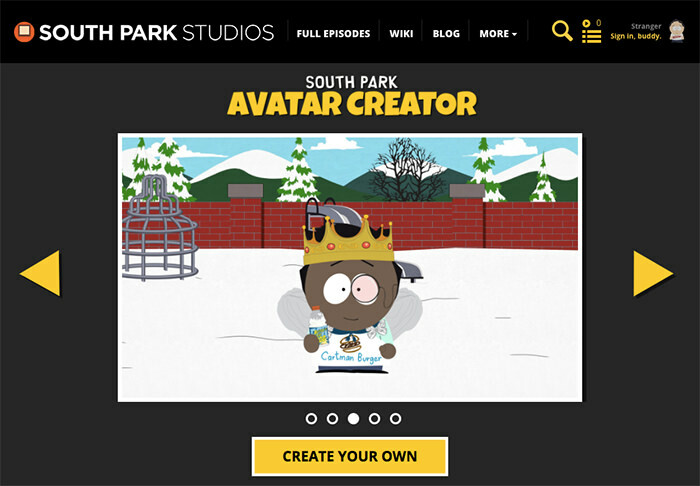 For South Park fans, now you can become one of them. 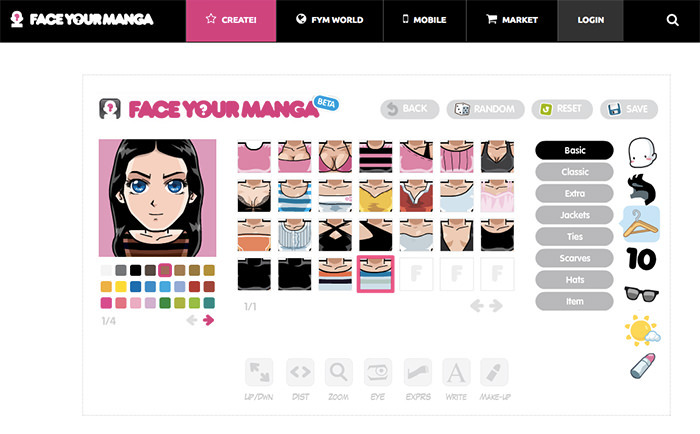 The "Create Avatar" section lets you choose avatars from the Avatar gallery, Randomizer and you can also create your own avatars with full modification there. 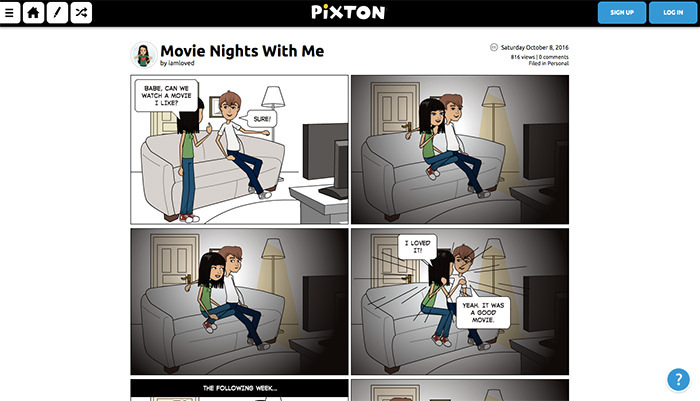 This website allows you to create a hilarious comic cartoon with text. You can use it to tell some funny situation from your life, or create a funny story yourself. The site has detailed instructions how to create a drawing or cartoon of yourself in Photoshop or Illustrator. Note: you need to have either Photoshop, either Illustrator to follow the instructions, and perhaps some drawing skills. 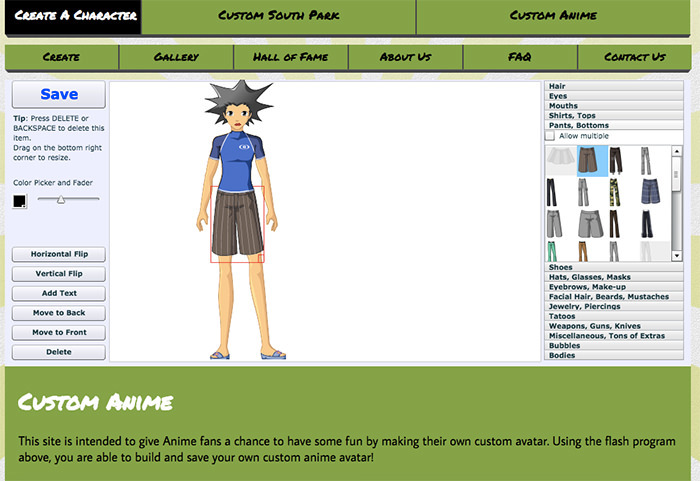 Custom Anime allows you to cartoonize not only your face, but a whole body too. 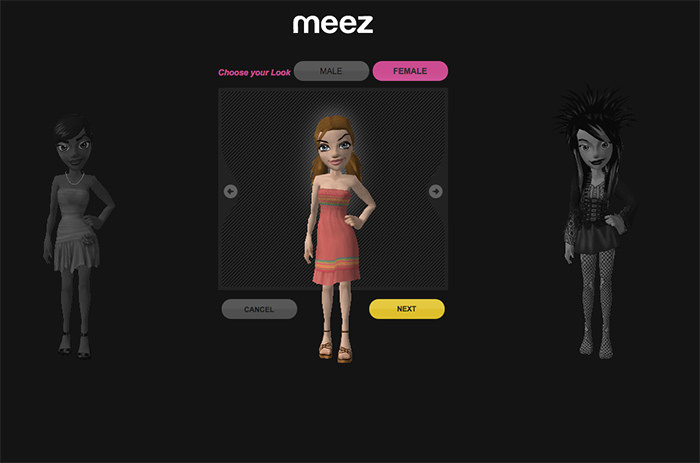 Use lots of clothes, hairstyles and items to customize the character to your liking.